From very early, men and women in the rural area go out to the field to harvest snow peas, sweet peas, French green beans and mini-vegetables, products that have allowed them to improve their family income and raise the level of development in the communities. 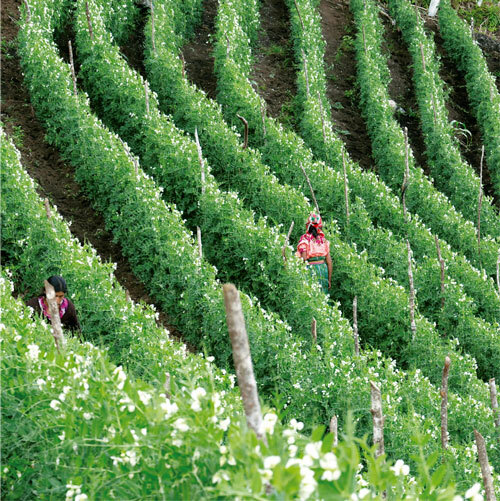 One of the crops that stand out in this sector is snow peas that has contributed as a development promoter in Guatemala for more than 30 years and has brought opportunities to families in the rural areas. It is known as the “peace crop”, given that it gave many families the opportunity to recover from an internal armed conflict, becoming a productive alternative and in that way having a promising and better future. These non-traditional agricultural crops and that have diversified the exportable supply of the country have traveled to the United States (65%), Europe (30%), Canada, Asia and Central America (5%), with a growing demand, which allows farmers to obtain better economic income and sustainable development, since they can harvest every 90 days with profits of up to six times higher to that generated by subsistence agriculture. 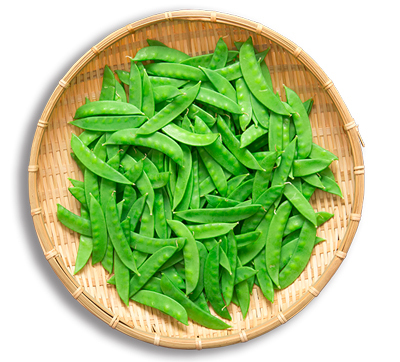 Guatemala is currently one of the biggest producers and exporters of snow peas, sent to approximately 70 million pounds annually. This vegetable is exported as a fresh product and frozen, in different packaging and presentations, to the world. With more than 30 years of exporting excellent quality products and with high safety standards, complying with international norms and regulations, have allowed strengthening the productive chain, from organized producers, suppliers, service providers, exporters, land, sea and air transportation, in addition to indirect benefits generated in the communities due to the increase in income that are locally used to vitalize the rural economy. From very early, men and women in the rural area go out to the field to harvest snow peas, sweet peas, French green beans and mini-vegetables, products that have allowed them to improve their family income and raise the level of development in the communities. One of the crops that stand out in this sector is snow peas that has contributed as a development promoter in Guatemala for more than 30 years and has brought opportunities to families in the rural areas.